Lee Mead, returns to his musical roots with the release of SOME ENCHANTED EVENING, a brand new studio album, which came out on 26 February 2016 and a series of tour dates. The song stylist and actor, whose credits include leading roles in hit west end musicals Joseph, Wicked, and Legally Blonde and on TV in BBC ONE’s Casualty is taking a break from his TV role in 2016 to focus on music and theatre. The album and tour SOME ENCHANTED EVENING sees Lee fulfil a personal ambition and perform classic songs from the Hollywood musicals including Some Enchanted Evening from the 1949 Rodgers & Hammerstein musical South Pacific. This is complemented with a range of material including Singin’ In The Rain, from the 1952 MGM musical comedy starring Gene Kelly, and Luck Be A Lady from Guys n Dolls, Where Or When from the 1939 MGM film Babes in Arms; the Jules Steyn/Sammy Cahn song I Fall In Love Too Easily from the movie Anchors Aweigh, and I’ll See You In My Dreams from the eponymously titled 1951 film; Almost Like Being in Love from Brigadoon; the Jerome Kern/Oscar Hammerstein II All The Things You Are; George and Ira Gershwin’s A Foggy Day ( In London Town); the 1937 jazz standard By Myself and a song that has proved very popular on Lee’s current Some Enchanted Evening tour - Feeling Good written by Anthony Newley and Leslie Bricusse. 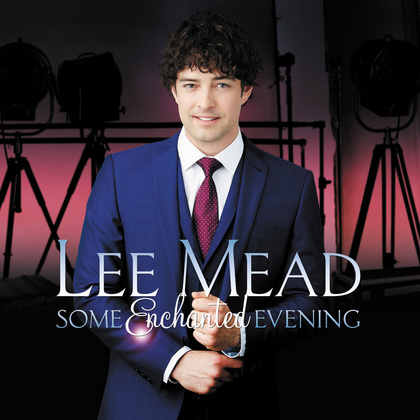 SOME ENCHANTED EVENING which marks Lee’s fourth album release and follows on from Lee Mead, Nothing Else Matters and Love Songs is available on CD and download. Lee has just finished starring in Chitty Chitty Bang Bang as Caractacus Potts and we managed to catch him just before embarking on the SOME ENCHANTED EVENING concert tour.